As the Canadian ULCC market heats up, Air Canada said it is prepared to leverage the significant flexibility of its rouge subsidiary to ward off competition, from adding flights in major domestic markets to re-configuring aircraft to match rivals’ all-economy offerings. “We have been preparing to ensure that we have all the tools necessary to offset [low-cost competition] and ensure that we are not negatively impacted,” Air Canada passenger airlines president Ben Smith said. Likely more narrow-body Airbus aircraft to be added, more domestic and transborder flying and perhaps an all-economy class cabin. Wow they said 3 320s are being added to Rouge next year. Must mean a sizeable number of 319s will remain at mainline to cover for the E90’s retirement. Twenty year old + A319’s, even with no capital cost associated with them, and even in single class mode, are barely competitive with the 156 seat 737-400, and not anywhere close to being cost competitive with much newer 189 seat 737-800’s. Add the other various structural cost disadvantages AC has vs it’s domestic competitors, that are are evidenced by their significantly higher unit costs over flight lengths of equal distance, and the story isn’t quite is compelling as the the yarn being spun. People with a memory recall Rouge started out as single class, higher density but had to be changed into 2 classes because of the brand confusion and premium customer demands. Recall the “Rouging” of YVR to SoCal? Are they planning to revert to single class again, after what happened before? Why will the result be any different? This is one of the problems incurred when the “low cost” brand is tied too closely to the mainline brand. You’ll be hard pressed to find any Rouge branded collateral materials at any US station with Rouge service. It’s all AC branded. That being said, it won’t stop AC from swatting the Flair bug with a 16 ton weight, now Flair’s made its intentions known with a more concerted move into the YYZ market in a couple of months, after being flattened by Swoops 2 737-800 warbirds in less than a couple of months, with more to follow. AC is sending a message both to Flair and anyone else trying to get going, (the other two are close to entering their 5th year or more of “preoperations mode”......). Flair has made yet another massive strategic mistake of waving a giant red flag in front of an angry, testosterone fueled bull. And unlike WJ, both 16 years ago and today, Flair has neither the cost or capital structure to withstand the attention and war they have drawn upon themselves. AC will spend what it needs to spend to eradicate them. The folks bankrolling Flair need to separate wishful thinking from reality if they want to preserve what ever shareholders capital they have left. I have flown them once, never again! They offer the same price as WestJet for a far inferior product. Just keep banging that (westjet fuelled) drum. I guess that's the latest diatribe from Calgary Headquarters for its peons to spread on social media. Bottom line is that YOU don't know Rouge's unit costs. It is not in the public domain. Westjet certainly knows and they slipped last year when they admitted that Rouge's unit costs were less than Westjet. To the financial community, that was the biggest push for the entrance of swoop. A 25 year old A319 doesn't burn any more fuel than a 5 year old A319. And, as a part of a 100+ fleet of Airbus narrowbodies, the economies of scale for things like maintenance, crewing, training and fleet utilization are impressive. Besides ... a 25 year old A319 in most repects is a far more advanced aircraft than the lastest narrow body coming off the line in Seattle! Flair's gameplan aside (I am still lost on what they are trying to achieve), their intent to move from YHM to YYZ likely has very little to do with swoop. Perhaps you forget, some upstart named westjet came up with the same idea many years ago, for exactly the same reason. The business and the money is in YYZ ... not YHM. I just hope they last long enough to reap the rewards of the move. I know, westjet headquarters is trying to pretend this is a "win" to its lower level employees, after a year of "no wins", but common sense says otherwise. As far as "ganging up" on Flair, I think westjet pretty well showed its hand and its intent with their placement of resources on the Alberta to Arizona market, "with more to follow". Airlines are becoming like telecom companies in Canada with their multiple brands. I think the BA approach of tailoring their fleet to the destinations (especially out of LGW) is the better approach for AC. Have never understood why AC can't just "rouge-ify" mainline. We all know it's heading that way. And heck, they have 400 seats on a 77W and 250 on 788. As much as I despise the config, for AC, they should make 30 in pitch and luggage charges the norm in Y. And then offer Y+ for those who want a bit more legroom and their frequent flyers and W for those who want premium economy. This way they can go 3-class on leisure routes (Y/Y+/W) and 4-class on more premium routes (Y/Y+/W/J) with consistent staffing, services and branding across the board. I don't get how it helps airlines to dilute their brands with subcarriers that offer worse. Rouge is already sort of hurting AC's image. And making it a ULCC is only going to make it worse. If they folded in Rouge into mainline, they could simply offer denser airplanes for leisure routes. I could see 30 A220s with 145 seats and 25 788s with ~300 seats, both in 3-class (Y/Y+/W) operating to leisure heavy destinations. That would be very competitive with Flair, Swoop, Sunwing and Air Transat. If I were to gaze into the future, I could envision all 50 firm B73M transitioning to Rouge and mainline possibly focused on a A321neo and A220 fleet with the variable being what Boeing will eventually produce as a narrow-body replacement. Agree 100%. NB design plateaued in 1988 with the certification of the A320-200. Since the 767 EIS was a decade before 1988, all the Rouge ones should be gone by 2022ish. I see the current A320 fleet going well into the 2030's, since the technology hasn't changed in 30 years. To be honest, I expect BA to eventually put the whole 777 fleet through the ‘densification’ refit in Y as and when they become due for a refit, though it’ll be interesting to see the config of the additional 77W’s BA recently committed to lease. They probably started with the LGW-based fleet first in response to Norwegian, plus going by reports posted by others the cabins needed updating anyway. I think the issue is they want a seperate AOC for Rouge to keep them at arms length in an attempt to control costs. From a branding perspective, much of the signage in the airport is AIR CANADA and only the gate screens have any mention of Rouge. AC flight number, AC airport branding, AC synergies, ROU employees. Completely agreed with you there before the absurd comment about a 25 year old aircraft being more modern than a new 737. I'm reasonably confident he knows a lot about the operating economics and technology of both aircraft to express a educated opinion as he has likely personally flown the A319 and has first-hand knowledge of how the 73M operates and performs for AC based on facts. He'll likely admit the operating economics of the 73M are impressive. DGN could start a new airline with 20+ year old A319’s available for nearly nothing by this time next year and spool up to 40 tails with 4 years. I can assure you the thought hasn’t even crossed his mind, with either type. The 319’s economics, even in all Y config, aren’t even remotely close to newer 737-800’s when it is all said and done. Fuel burn, maintenance cost, daily utilization, seat capacity, amongst other things, conspire against that airframe, even with a zero capital cost. It don’t work. WJ had a couple things Flair doesn’t have when the short haul switch to YYZ was made in 2001/2002. A much larger fleet, a history of profitability, a couple hundred million in the bank, and probably most importantly, a network. You really think narrow body Rouge has lower stage length adjusted unit costs than WJ, let alone Swoop? Man, would I like to play poker with you. Ever heard of the “awe shucks” strategy? If Rouge’s 50+ tail sub fleet has costs lower than WJ’s, thereby driving down AC’s consolidated unit costs, man, do they have a serious problem elsewhere in their system. Something is causing those unit costs to be sky high, even with an ASL that is now double WJ’s. Why go through all of that trouble to essentially achieve nothing? 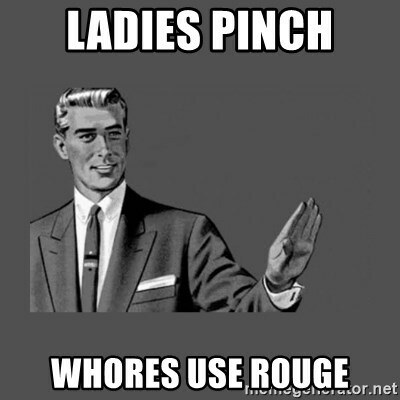 Rouge is exactly what you just described, and has the added benefit of not being mainline and thus not having the mainline costs. Rouge is cheaper to operate. Your model assumes that there is no market for mainline Y service, which is sorely not the case. How do you think 30inch pitch would feel on a 15 hour YYZ-HKG or BOM? This is the exact reason why rouge exists, some routes cannot support mainline, or would be more profitable with a lower cost structured model like Rouge. The days of hurting AC’s image are long gone, people continue us to flock to them in droves, and they still lack any meaningful competition. Finally, following the near universal introduction of 10 abreast Y in the 777, most large airlines have ~400 seats in their 77Ws, and 250 is pretty close to the norm for the 787-8 as well. Look at carriers like EK, QR, AA and others as a comparison, ACs configurations are pretty comparable to the global average. AC's 788s and 789s have a mix of 30 and 31" seat pitch. They're being used for BOM and will soon be used for HKG. "Virgin’s B787-9 accommodates a maximum of 264 passengers (with 31 in business, 35 in premium economy and 198 in economy), Air Canada’s B787-9 will have 298 seats with 30 in business, 21 in premium economy and 247 in economy." AC trades 1J and 14Y+ seats for 49Y seats. "Mainline", "Rouge" whatever - it's basically an FR/ULCC seat on a ULH flight. I really don't think sub-brands are a negative with the customers airlines care about most -- their frequent fliers, who know what they are getting across the various products on offer just as easily as they know the difference between a Residence Inn, a Ritz Carleton and a Marriott Marquis. The ECAM on AC's 25 year old A320s is miles ahead of the EICAS on your Max 8. And leaving aside the fact that the A320 cockpit is roomier and looks more modern, the overhead panel in the cockpit of the Max looks like something designed straight out of the 1960s, because it is ! Yes the engines are efficient, i'll give you that, but that's about it. The rest is just lipstick on a pig, so to speak. The two brand strategy can work and does work for Qantas - though they are the exception to the rule. The higher yielding trunk routes get the QF product and the lower yielding routes get JQ. There is a bit of overlap to cater to the markets but it works well and people understand the difference. The Aussie and Canadian markets are similar. Both huge countries with relatively limited internal competition. Hah, the max doesn't even have EICAS. Welcome to the 20th century. Darn good plane fuel burn wise though, but certainly not the most modern system wise. I must really be 12 years old then (younger than the A320 EIS). Let's stick to the facts here, BOTH AC and VS list their 789 Y seats at 31 inches of pitch. There is no differences there, so your comparison fails. The only difference is VS has a larger Y+ cabin which takes up more space. Not to mention YYZ-HKG nor YYZ-BOM operate on the 789, they are 77L, nor is that likely to change any time soon. So in all fairness, I was completely correct in stating that they are in line with the rest of the industry. Umm... the A320 is very much a product of the 20th Century - just highly automated with early/mid 80s computer technology. I was poking fun at the fact that the 737max is a new design that has avionics less capable than most light twins nowadays. Still a great plane nonetheless, but it certainly has one glaring weakness. It is crazy to think how nothing really changed in the mainline NB market between 1988 and the A220's EIS. AC's own website used to admit that the 788 has 30" pitch. That they've scrubbed it during the website/branding refresh doesn't change the fact that it's reality. It's mentioned in the linked article as well. Didnt know BOM is now 77L. It started as a 787 route. With 30 inch pitch. Pretty sure DEL is still a 789 route, so doesn't really change the argument much. YVR-HKG also going to be 789 in October. All ULHs with 30 inch seat pitch seats. I wouldn't even put them on par with Rouge 767s in Y - the only advantage they have is an IFE screen. I think AC is smary to have Rogue. They are smart to make their markets less attractive to ULCC long haul carriers. The US legacies have little ways to fight the ULCC long haul revolution. I didn't mean to start an A vice B discussion, mea culpa. The MAX8 is an astounding aircraft with regard to operating economy. The numbers I am hearing from those flying them are impressive. As I have said on other threads, the fuel burn of the MAX8 is roughly the same as the E190. It is doing better than Boeing promised and it's entry into service was probably about the easiest Air Canada has seen in decades. But it should be an easy entry ... it's a 50 year old airframe and is not even remotely advanced. I flew the 737-200 and -300 and wax nostalgic that the overhead panel is almost identical. But when talking with one of our 737 Captains and he mentioned about electrical troubleshooting (in the simulator) by seeing which fuel pumps are powered, I had to laugh. That's how we did it in the -200 30 years ago. Then ... when he mentioned pulling out the QRH for the checklist, I just shook my head. The ECAM system of the Airbus, starting with the A310 in the 1980s, is light years ahead. The problem is identified, the schematic is presented, the checklist is given which shows/removes items done, followed by a status summary of what you have and what you need to do. I have often wondered if perhaps Airbus had some patent on the system as Boeing never followed. So ... when stated above that Rouge flying a 25 year old airframe is somehow inferior to westjet flying a 737-800, I have to chuckle. I say both airframes have their merits and the fact that the MAX8 is selling by the thousands is an indication that those who know better than us, agree. It's called entering the real world and who knows ... maybe westjet may enter it with their 787s. Think about comparing the costs of flying westjet's 737 from YWG to YVR, vice a 777-300ER from YYZ-PVG. You keep thinking about direct operating costs and you should be thinking larger. Think about ATC costs, think about communication costs, think about security costs, think about training costs, etc. (Heck, one CPDLC datalink communication alone through Russian airspace costs hundreds of dollars). Then think about the 40 J suites and 24 PY seats taking up 40% of the real estate of the aircraft. It is a very different world from that 737 flying 2 hours through Canadian airspace. That's why Air Canada has made more money in the last 5 years than westjet has in it's existence. Because this is the "big times" and comparing seat mile costs between two very different operations borders on silly. However ... westjet and Rouge can be compared, as they fly similar operations. And when M. Saretsky stated to westjet's pilots last year that they no longer had the cost edge over Air Canada's A320 operations and were behind with regard to Rouge ... he played his hand, and I am going to guess that he knew better than you or me. Nothing wrong with BA doing that. What I was referring to is the fact that BA doesn't create a whole other airline to operate LCC operations out of Gatwick. I don't get why AC needs Rouge. Rouge costs less, it has a lower crew Pay scale. They don't need Rouge, but it has been a roaring success. It isn't going anywhere, it's perfect to compete against TS for the Canadian leisure market. Yeah but IAG as a whole has Vueling and IB Express while LH have Eurowings to do almost all of LH’s non-hub flying nowadays. True the strategy within BA itself is to have lower cost crew based at LGW with leisure configured fleets without a separate brand. That’s easy to do when you’re essentially Air London vs. AC and their four hubs, five focus cities, three of which are also transatlantic gateways, and are spread apart over 6,000 km. 1) Ten year contracts with pilots and cabin crew at mainline that benefits the company in many ways, including reduced staffing levels. 2) New more fuel efficient fleet and denser cabins at mainline. 77P/400 to 450 pax, 77W/349 to 400 pax, 77L/270 to 300 pax, 333/265 to 292 pax, 321/174 to 190 pax. 3) Rouge crew receive the same expenses and hotels as mainline. 4) Rouge management and office expenses. The downside of Rouge has been evident for a while and I hope the company takes action. Bring the 9 newest 763's (post 2000 builds) from Rouge to mainline and outfit them with new interiors, IFE , premium economy for tourist heavy markets, and 4 more 333, on top of the 4 being added next year to mainline. This would cover all Rouge Transatlantic, Latin America wide body flying. It has already started in western Canada, Rouge is being displaced by mainline AC. Rouge YVR cabin crew are being transferred to mainline AC YVR base. Air Canada approached the union for this, so wages and working conditions must not be the issue. The Boeing 7M8 and future Airbus 223 at mainline can handle all the other Rouge routes at even better operating margins. Hopefully looking forward to welcoming all Rouge employees to mainline! You’re missing the point of rouge completely. Rouge management and office expenses?? Really? ......All of which are divided by dramatically higher ASM’s produced by longer haul operations, which result in significantly lower unit costs on long haul operations. Have you ever stopped to wonder how many Link flights between YQL and YYC it’d take, and passenger acquired and handled in every respect, to generate the same asm’s and passengers as a single YYZ-LGW flight? The longer the stage length, the lower the unit cost for aircraft, any unique aircraft, assuming the seating config remains the same. It’s a universal fact.. It hasn’t changed since the dawn of the aviation business. If we’re still going to have to debate this issue, we might as well open the debate as to the existence of gravity. That’s what’s been driving down AC’s unit costs over the past 5 years as their asl has swollen to over 1,700 miles from about 1,200 miles or less. The question is, and always will be: what does it cost AC to operate a flight over the same asl as WS. Or vice versa. It’s not even close, and in a commodity business, costs are king. When the two airlines “face rate” unit costs come within about 5% of each other, together with their ASL’s becoming nearly identical, then I’ll concede that WJ has a problem / AC has solved its problem. That was the situation in the late 90’s vis a vis AC and CP. We’re no where near that scenario. Not even remotely close to it. That’s why I don’t worry about the market’s over reaction, (that is being stoked by a well fueled cheering section), that is occurring as a result of WJ laying in expensive groundwork that is incurring significant costs now without generating a nickel of revenue, and won’t for quite some time. For example, the next time you’re taxiing in Calgary, take a peak at that big box that’s being built to the east of the current maintenance facility and think about what that costs, given the 20 aircraft that will ultimately generate said revenue the hangar is specifically designed to service are currently in a bauxite mine somewhere in the Caribbean. That’s only a small fraction of the infrastructure and costs incurred to get into that game, but it’s a highly profitable game, what with all those $9,000 J class round trips on lie flat seats that are gonna turn into $5,000 J class roundtrips, one after another. Add Union growing pains which cost the company well over $120m in sales in 2Q, (all of which went directly into their competitors bank account, mostly AC, but enough to Flair to keep them afloat), the reality that 2Q has traditionally been WS’s worst quarter for at least 15 years, and, as stated previously, I’m surprised 2Q wasn’t worse than actually reported. I was more surprised that WS’s competition wasn’t able to translate that manna from heaven tailwind into something a little more impressive on their bottomline. Compared to their North American peers, the results were pretty anemic where it matters, operating margin, (not EBITDAR margin that ignores a plethora of very real cost drivers and a metric that is largely ignored in the US and elsewhere). This has been the case for about 20+ years. When things turn cyclically, having margins that balance on the head of a pin is never a good thing. Flooding the market with seats to drive down unit costs during a period of historically low fuel costs achieved exactly what is to be expected. The question is what happens next as fuel costs increase. It’s already occurring stateside, and outside 3Q, which is always a highly profitable mortal lock, I suspect to see reality come to roost in 4Q 2018 and 1Q 2019, as it always does, (barring a $20 decline in a barrel of oil). Everyone’s a genius with $40 bbl oil. is it true that a 20 year old A319 had the same fuel burn as a 5 year old? I thought there had been incremental improvements in various aspects of engine build and aircraft build/component and weight over a 15 year period? This would be the one thing longhauler said that I would dispute becuase there should be a measurable fuel burn difference the CFM56-5A on the older A319s and the CFM56-5B on newer ones. As far as incremental improvements go, shrink aircraft do benefit less than the bigger variants so since the engines were changed there wouldn’t be much improvement after that. This would be the one thing longhauler said that I would dispute becuase there should be a measurable fuel burn difference the CFM56-5A on the older A319s and the CFM56-5B on newer ones. As far as incremental improvements go, shrink aircraft do benefit less than the bigger variants so since the engines were changed there wouldn’t be much improvement from engines after that. Then there is the discussion of sharklets. I guess his point is that it’s not a huge difference like a jump from CFM56 to PW1100G or something like that. Few points. BA does not have a discount brand operating out of LHR at all. Nor does it do a different brand for LGW. So really, it's brand differentiation is by country within IAG. This would be akin to YVR, YYC and YUL being whole other airlines. But it's not just BA. It's not like the American carriers are launching discount brand carriers either. Nor for that matter are the gulf carriers that AC wants to compete with in some growth markets. I just don't see the point of it. Do they really save that much in cabin crew pay that it's worthwhile to have a whole other carrier and have your customers confused as to what product is showing up where and what type of airline Air Canada really is? JQ seems to run far more independently as a carrier than RV is. That is true. But ... don't forget that some of the "20 year old A319s" currently flown by Rouge do have the -B engines. I have to be careful here, as an Air Canada employee, we are resticted on what we can post on social media ... so anything I mention here is already in the public domain. The Rouge cost savings go a lot farther than just direct operting costs and Flight Attendant pay. Pilot pay is about the same. It is calculated differently, but in the end, it's basically a wash. Same thing with F/A pay. A new hire that goes to Air Canada, makes roughly the same as a new-hire that ends up at Rouge. Pilots and F/As though, do work a different set of working conditions that is more in line with other leisure carriers that is more flexible. There are other pay savings, though. As it would be prohibitive to have separate employee groups working Rouge flights (like agents, ground handling, flight dispatch, etc) they all work flights as assigned, some Rouge of Mainline. However, a B Scale was calculated within the entire respective group that the bottom percentage will make "Rouge" wages whether working a Rouge flight or not. That percentage is the ratio of mainline/Rouge seat miles. So ... as Rouge is expanded, so is that B Scale group size and a new hire Air Canada baggage handler in YXE (for example) is making Rouge wages even though he never sees a Rouge aircraft. I understand your thoughts about simply putting more seats in an aircraft and painting a new name on the side of the aircraft, but I have to figure those smarter than us have already thought about it and this was the answer. So one really has to ponder, why? I have a lot of theories, one of them was touched on above with regard to the YVR-LAX/SFO market. Before Rouge, AC had only less than 20% of the market share. Add Rouge, flood the market with seats, including a 767 ... and the rest of the carriers scattered. As a result, AC's market share rose to over 50% and the dominant carrier left the market completely. The routes are now flown by mainline A320s and market share remains the same! Why ... because the Rouge "threat" is there. There are quite a few domestic markets as well that with the introduction of Rouge, the other dominant carrier reduced or left. Rouge is a pretty powerful tool. I have quite a few more theories, (don't we all), but they are not in the public domain. But I say again, if the aim of Rouge could have been achieved by simply adding seats to current airframes, then that is exactly what would have happened. So I have to figure the aim of Rouge is quite a bit more involved. Don't forget, both original carriers Air Canada and Canadian Airlines, had aircraft specifically aimed at leisure travel in the past. All Y 747s, DC-8s, L1011s ... heck there were even 229Y 767-200ERs and 127Y 737-200s!!! The concept is not new for them. Well of course, but when someone has enough screws loose to think that 737-400s are much more effcient than an A319 which from the start has had much more efficient engines, they will most certainly overlook a detail like that. What’s even better is that he says that rouge has a fleet of 25 year old A319s when the oldest is only 22 years old, last time I checked that’s not how math works, but if that’s how one does math maybe that’s why they conclude WestJet is making much more money and the old 737-400 is much more efficient! Under what conditions are you comparing the aircrafts? What stage lengths? Which Markets? Are the aircraft being leased or financed?? Your assumptions are based on perfect conditions. What if the airplane is half full? Yes, the spread between Marginal revenue & marginal cost per seat exceeds that of a 319, but will swoop be able to stimulate enough demand to fill the seats? Open questions that have yet to be answered. You speak like an airline geek, but have very little understanding of basic business principles. BTW, stop comparing wj & Ac. Both have very different businesses. WJA is going through some hard times now & the market believes it. Made a few bucks shorting the stock recently... maybe more downside to go. It’s the same thing over and over. And then he goes to the ole “everybody looks like a genius with $40 a barrel oil”. He speaks as if WestJet is immune to expensive oil. Very entertaining. The A319 is 1996 stuffed into a fuselage - time to find my Local H CD and copy of Windows 95. And the 737-400 is a 1967 pig stuffed into a fuselage decorated with some 1988 lipstick.